Windows 7 complete system - computer + monitor, keyboard and mouse - TOP MODEL! HP Compaq dc5800 - C2D E8400 3GHz - RAM 2 GB - SFF - HD 1 x 80 GB - DVD - Used"
With innovative features and high computing power, the HP Compaq DC7900 SFF desktop PC meets the needs of many users. With innovative features and high computing power, the HP Compaq DC7900 SFF desktop PC meets the needs of many users. However, security and flexibility are just as important, which is why you can use the computer system both privately and in the company. In addition, the used desktop computer works without restrictions. Because the HP Compaq DC7900 SFF has an Intel Pentium E5200 dual core processor installed, you benefit day by day from the 2.5 GHz clock frequency and the 2 MB L2 cache. However, 2 GB DDR2 memory is also included in the PC system, which means that switching between different applications can work without problems. To be able to start the HP Compaq DC7900 SFF immediately after receipt, the used computer has a 160 GB hard drive. This can, of course, be exchanged, if necessary, in order to obtain more capacity. A sound, graphics and network card are also already integrated and are located directly on the main board. HP Compaq DC7900 SFF provides numerous connections for your accessories. This includes eight USB ports, but also PS / 2, audio and serial interfaces. You can optionally connect a monitor to the PC system via VGA or DisplayPort, the latter of course providing the best possible display quality. If you need additional connections, PCI and PCI Express expansion cards can also be installed in the computer. We give 12 months warranty on used goods and 24 months warranty on new goods. What does the condition Manufacturer refurbished? The importance of the state refurbished by manufacturers, as well as the description of other states can be found under the heading » Grading. What does Microsoft Authorized Refurbisher (MAR) mean? The MAR program from Microsoft enables us to offer used computers, notebooks and servers with pre-installed original Microsoft software. As a result, you as a customer receive, for example, a full Windows 7 license, directly with the ordered device, without having to pay a high surcharge. An individual sale of these licenses, for already existing systems, is however not possible. Further information about the MAR program. Are the included operating systems like Windows 7, 8 and 10 full versions? Of course you will receive a full version of the mentioned operating system from us. This entitles you to all updates, patches and other functions contained in the operating system. Where can I find the product key of the included Windows installation? If you have purchased a notebook or a computer with Windows 7 operating system from us, you will find the corresponding product key on the underside or on the housing of the system. For notebooks, this key is often attached underneath the battery. My ordered device does not include a driver CD? Where can I get the drivers? This is often the case with refurbished or used goods. 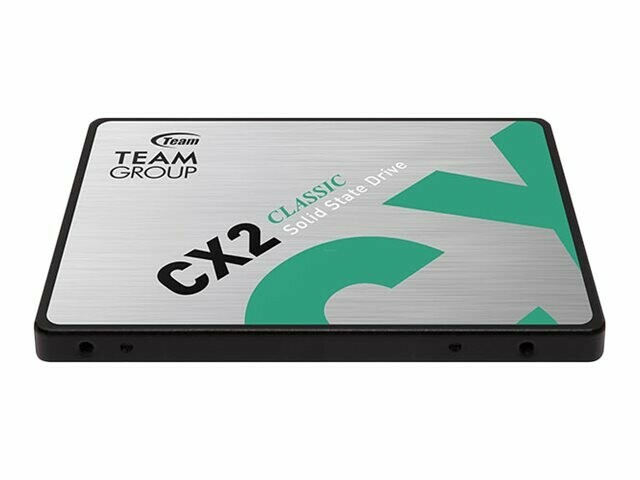 Drivers are only delivered on storage media in the rarest cases. However, this is not a problem, as all drivers are supplied by the manufacturer. can be obtained via the Internet. Simply go to the website of the manufacturer and search for the drivers there. Alternatively you can send us an e-mail to service@noteboox.de with the request for a link to the driver. We will take care of it. How old are the devices? Most of the devices are business devices that come from leasing contracts. They usually run for three years, which is about the age of the equipment. How do I activate my Windows 7 or Windows 10? What is the meaning of abbreviations such as CMT, SFF or MT? This usually indicates the housing size. For example, SFF stands for Small Form Factor and refers to particularly compact devices. Ultimately, however, this does not only have an effect on the The space required at the desk, but also indirectly indicates the upgrade options. So, if you plan to use one graphics card or multiple hard drives, a larger housing may be required. Can I replace or upgrade individual components of my computer? This is possible with most of the desktop PCs we have in our range, but there may be limitations. All-in-one computers usually only offer memory or hard drive replacement. If possible, we also list directly in the description which hardware still allows upgrades or which slots and installation bays are still available. Is it possible to upgrade the PC with the purchase? If you have decided for a certain computer, but an additional component or equipment, please contact us directly. Directly in the online shop, you can only select the variants that you would like to see in our bearings. Can the used PC be used immediately after delivery? Please refer to the respective product description for more information. Usually our computer systems are pre-installed with an operating system, so you can start using the the connection and the setup. However, it may also happen that no software is included. Are connection cables or other accessories supplied? A power cable is always supplied with our desktop PCs. Other cables are not included, however, as it ultimately depends heavily on the other peripherals and their interfaces which are required. However, it is quite possible that we include a keyboard and mouse as a free addition in the scope of delivery. However, this is always listed in the description. Are driver CDs and manuals included? Such accessories are not included in the scope of delivery, but are often free of charge with the Manufacturer ready for download. In case of questions, ambiguities or similar problems, you can also contact us directly. What kind of software is pre-installed on the used computer? We usually install an operating system on the PC. In addition there are the drivers of the respective manufacturers. Additional software or colloquially also Bloadware is however not on the system, so that you can start directly with a clean mechanism. Can Windows 7 be selected instead of Windows 10? With some of the desktop PCs this is quite possible or they are directly pre-installed with Windows 7. Especially with modern hardware, however, support for Windows 7 is increasingly not available, which is why we can only offer Windows 10 in such a case. You can of course try to install it yourself if you still have a license. In case of doubt, please check the information of the respective manufacturer.